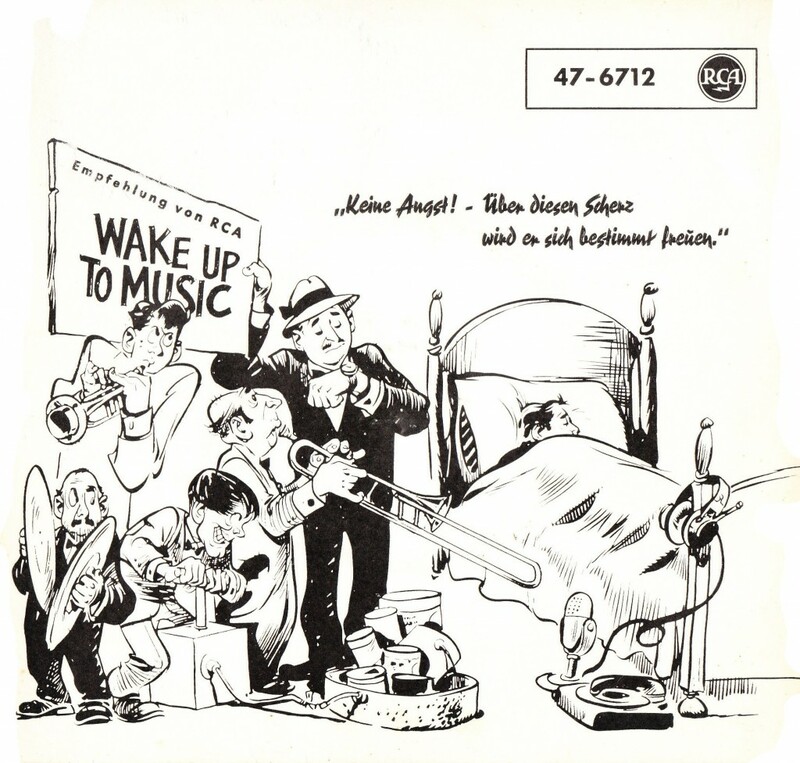 In 1956 RCA Germany released the ultra rare Wake Up To Music (47-6712). 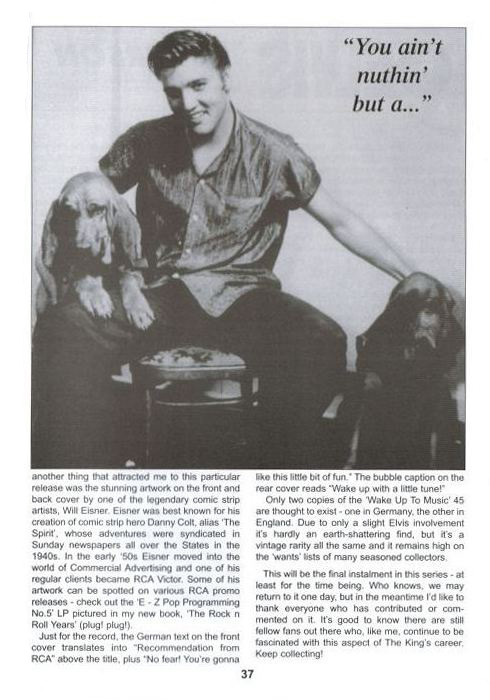 I once had a copy and did a little story about it for The Man And His Music magazine. 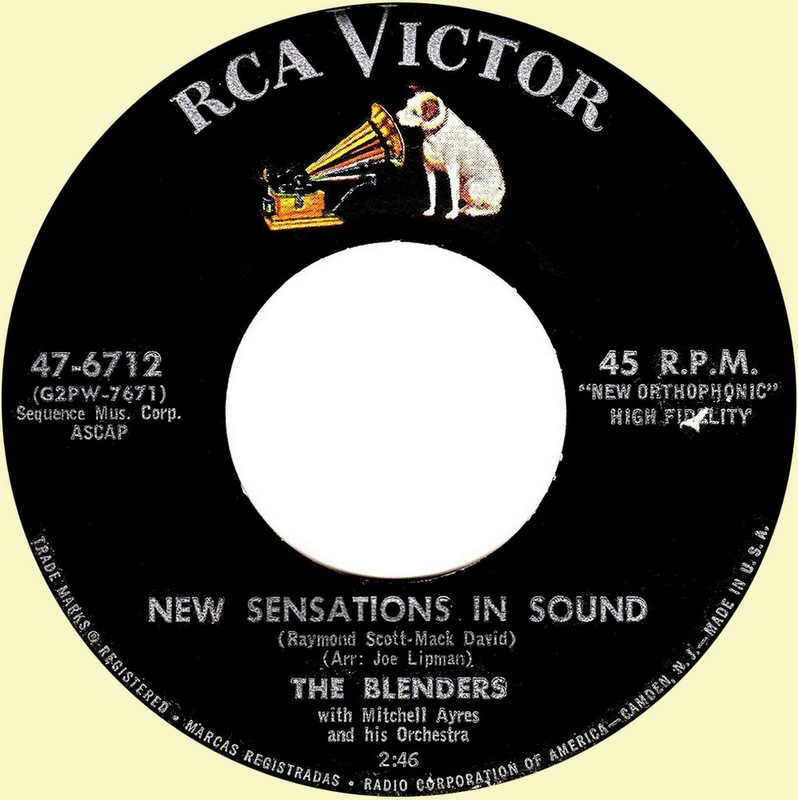 A while later I featured this release on an Elvis site. Another collector responded by posting an unknown white label promo from the USA. Not long ago yet another promo was discovered, this time from Canada. 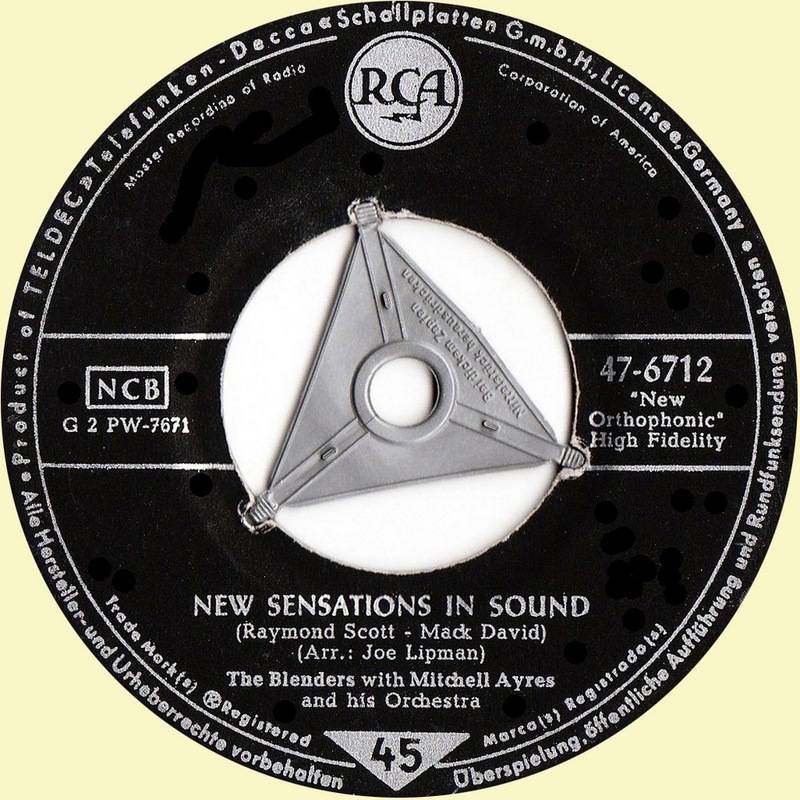 And shortly after we published this article right here on Echoes, Chris Giles responded by mentioning that a regular commercial USA pressing also existed. Chris was so kind to scan his copies of this mega rare title for us, and we are proud to present the most complete collection for the first time anywere! 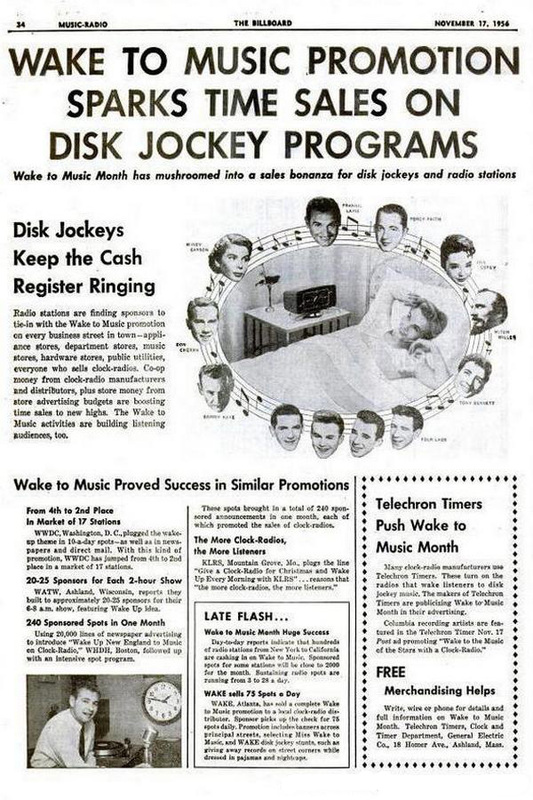 ‘Wake Up To Music’: echoes of years gone by. Here we have the single from Germany. It included a picture sleeve. 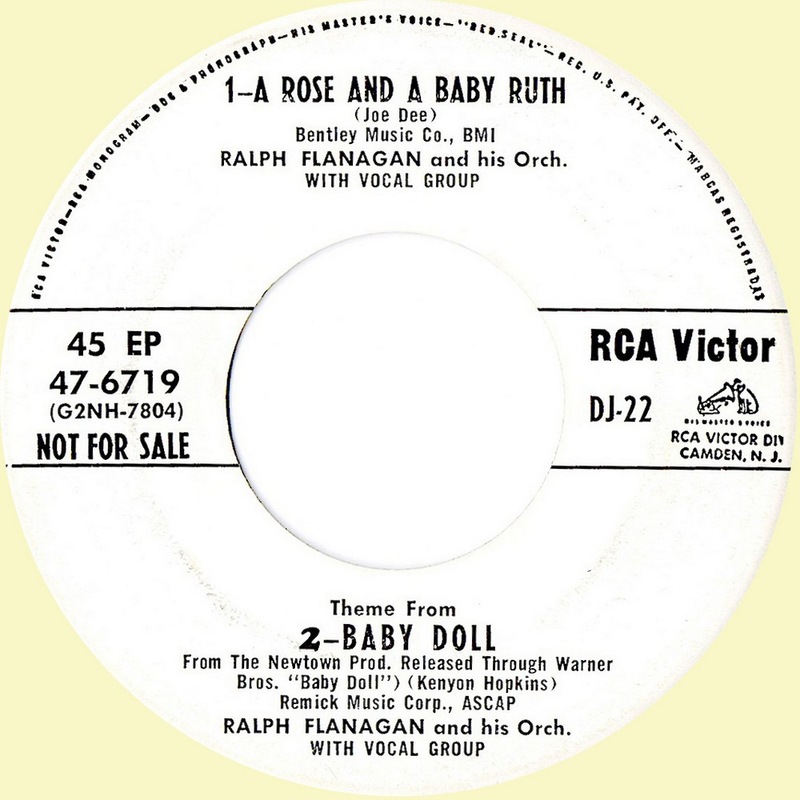 The single from the USA. 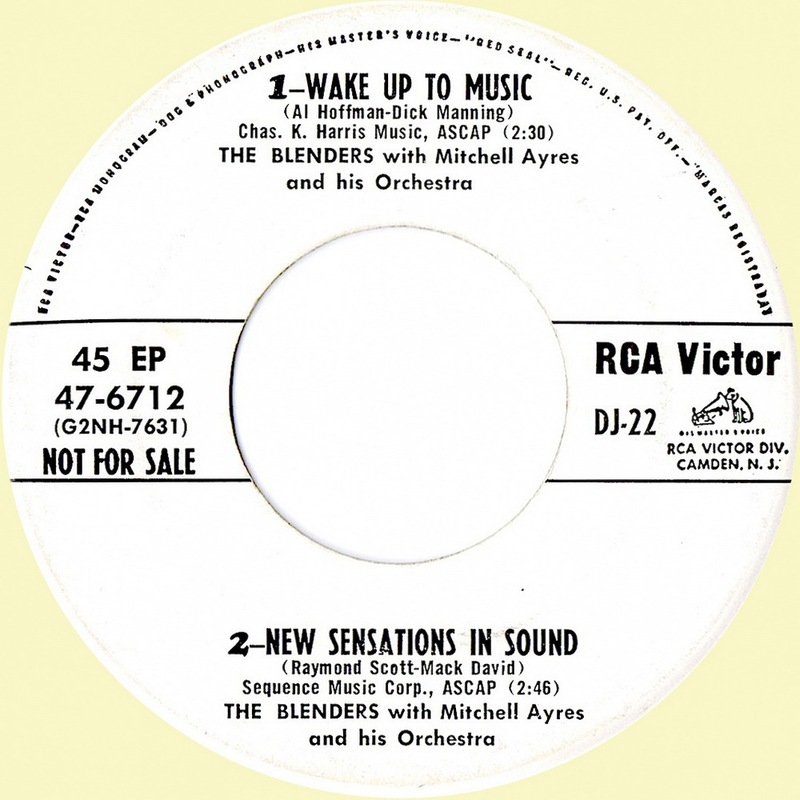 The promo EP from the USA. 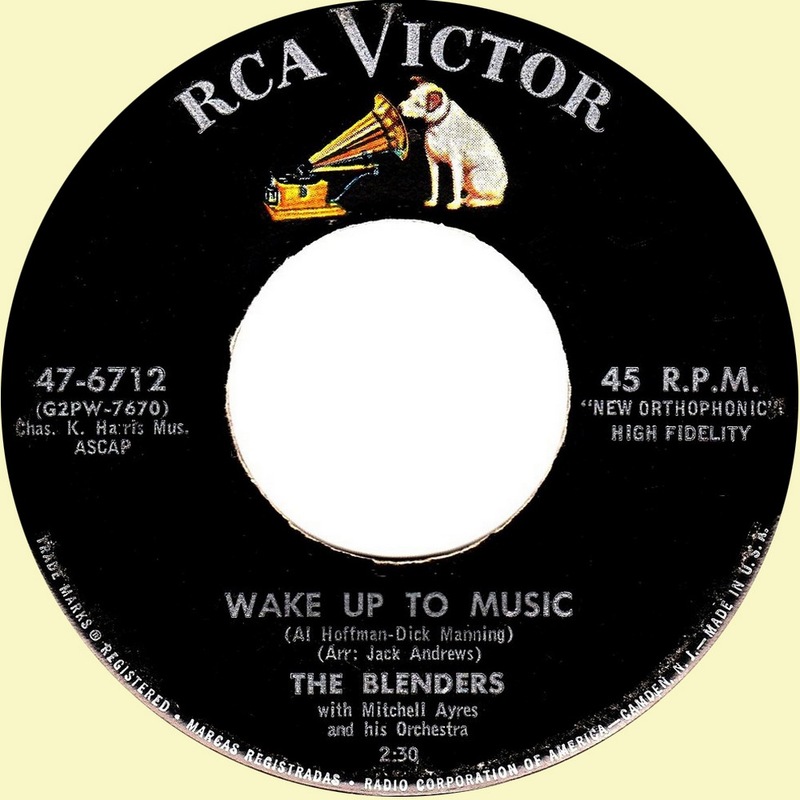 It has the Wake Up single on one side (47-6712), and another RCA release (47-6719) on the other. 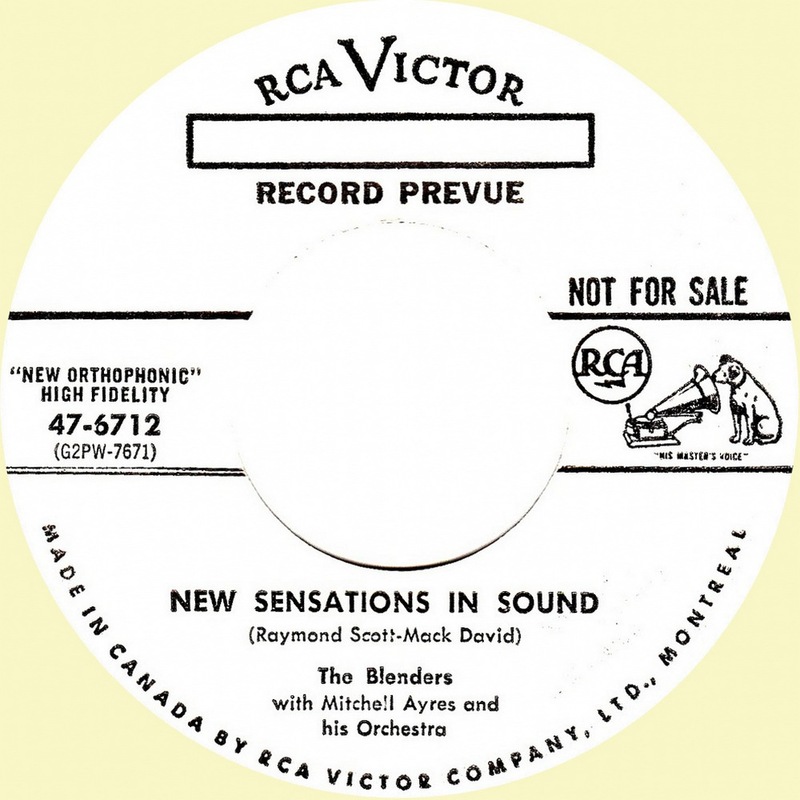 The promo single from Canada. While going through some vintage Billboard magazines from November 1956, these interesting fullpage articles turned up. 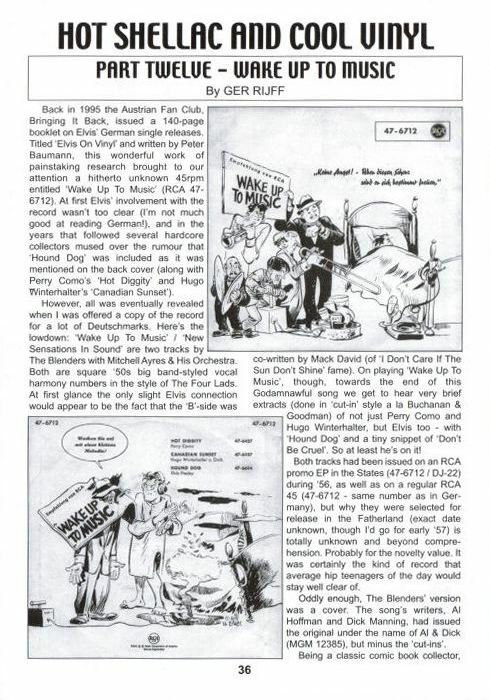 The Wake To Music campaign was (according to Billboard) a “Huge Success”. It’s goal apparently was to sell radio announcements to sponsors. 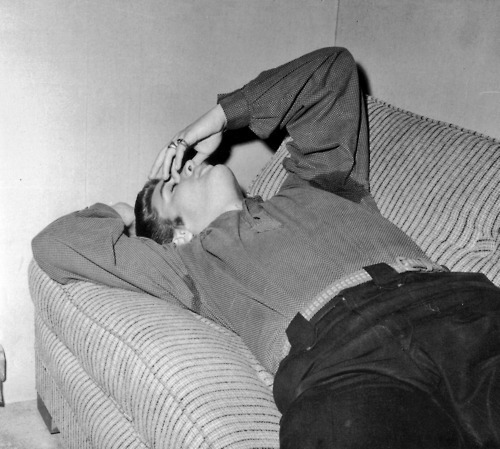 Even though Elvis was the hottest thing around by the end of ’56, his face can not be seen in these two articles. 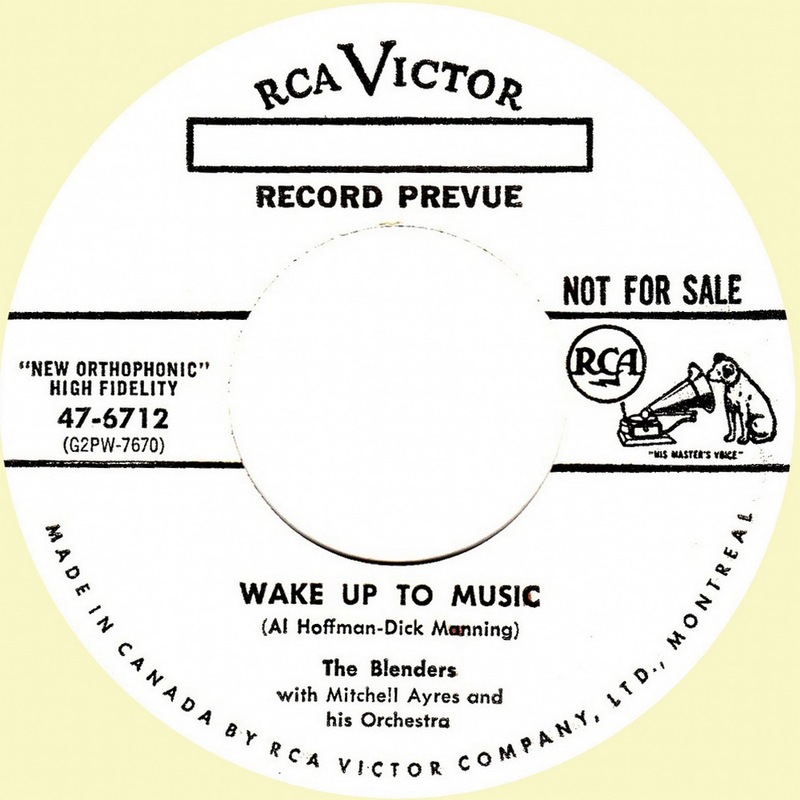 This raises the thought that RCA Victor was not involved in the campaign from the start. 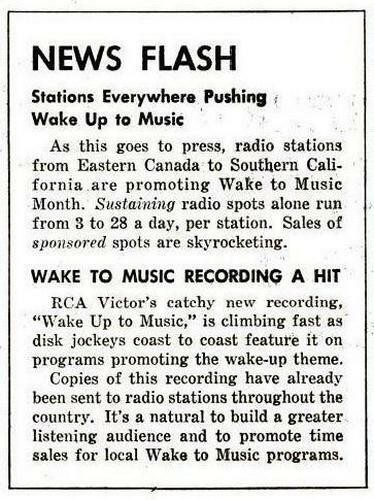 In the article from the 24th of November, in the special NEWS FLASH section (also to the right —>), we can read that RCA Victor has now also jumped the Wake Up bandwagon calling their promotion Wake Up To Music (adding the word ‘Up’). 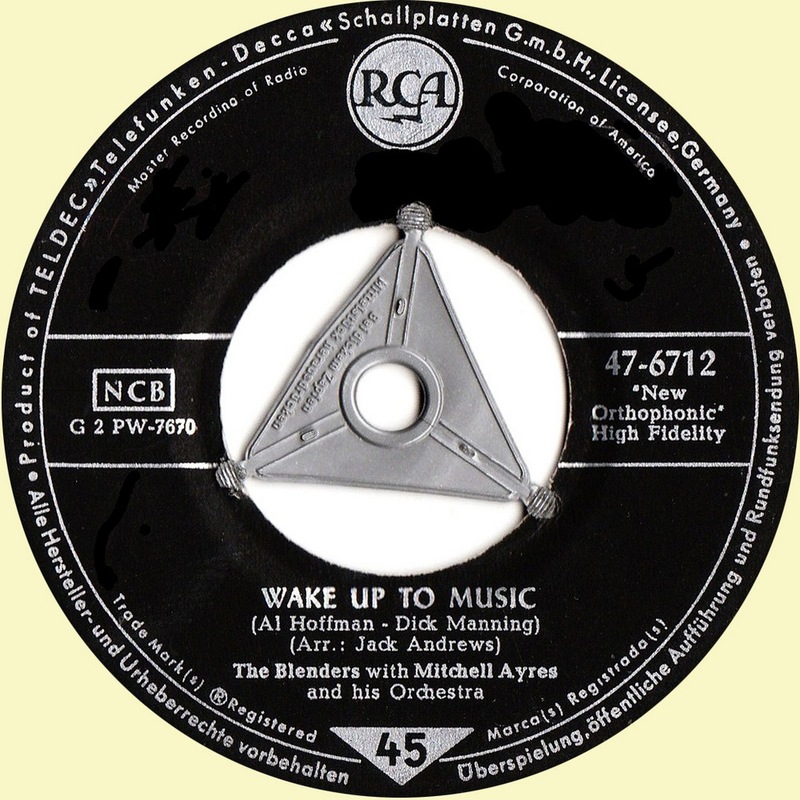 The Elvis-related Wake Up To Music single and EP pressings from RCA in the USA, Germany and Canada clearly were never meant to be regular commercial releases. They were only pressed in order to be sent to DJ’s. This would further explain their extreme rareness. 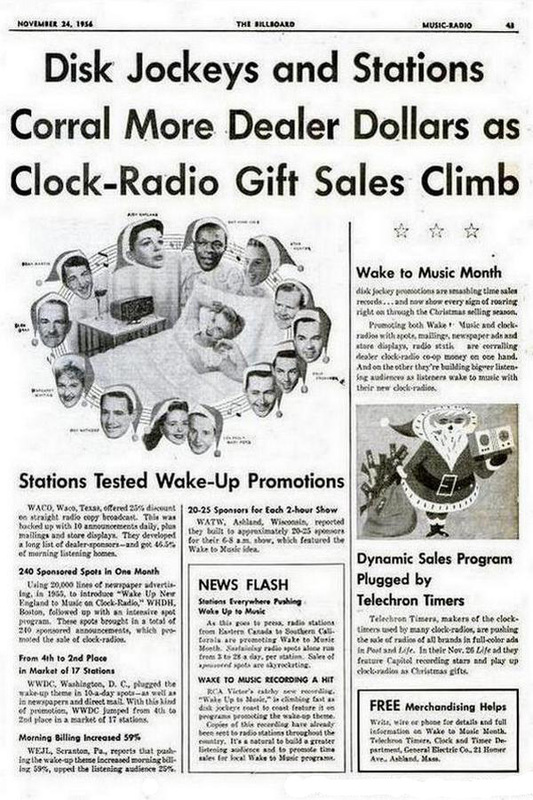 Below to the left we have the fullpage article from November 17, 1956. And to the right the article from November 24, 1956. 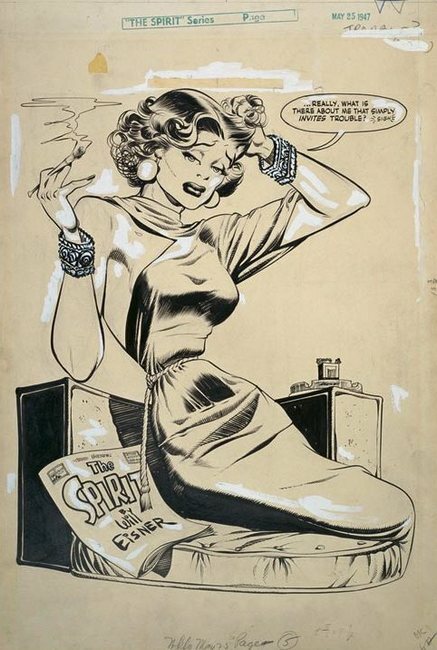 The artwork for the German release was by Will Eisner, comic book illustrator supreme! 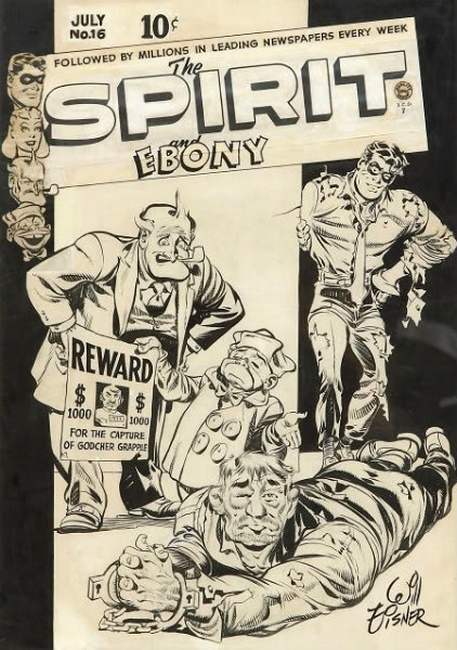 His most famous strip character was named ‘The Spirit’. To this day his work, dating back to the 40’s and 50’s, is still in print. The Steve Allen photo is copyrighted by A. Wertheimer. I had to dis-allow the Comments for this article since a ton of Spam entered the Echoes-site daily through here. But if you would like to leave a message, please use Echoes’ email-address at the bottom of this page, and I will add your Comment to this article. Very interesting to see another mega rare record appearing. It doesn’t end there !! 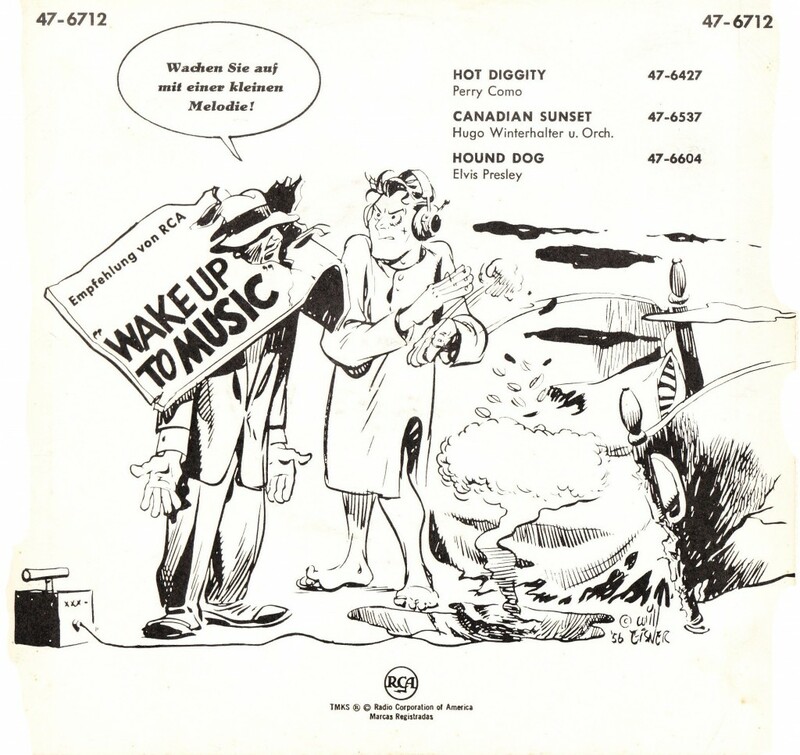 I have the German Pic Sleeve as shown above, also the Canadian 45 as shown BUT this 45 & EP were also Issued in the USA on the Regular Blk Lbl Dog on Top – these have never ever been mentioned in any USA Discography to my knowledge – I will be sending pics to Ger. Mucho gracias mister Giles, for the great scans received from you this afternoon! Bob will expand this topic with the new images a.s.a.p. Bob, on the double! Thanks Bruno. Good to see you made it to this place! Looks great Ger & Bob, at last a site with megacool items, records and pictures. I wished I had the German release of this single. Nice to see all these pieces of Elvis’ history here. Old soldiers never die, Jeroen! from the great Chris Giles. He’s got a lot! full time job and a family life to deal with. Take care, hope to talk to you soon. and have them scattered all over the topic pages. Excellent articles, good to have you back. From all your asian fans! We didn’t meet for quite some time. It’s good to know you’re doing great. We will always cherish the good times we had together and the nice books you published over the years. Great to have you on the net. We published your address on our website yesterday. Hope you will have lots of viewers. The best from Belgium to Holland. HV – Elvis Presley Society. Nice to hear from you Hubert. The years fly by … don’t they?! should be addressed to him. Cheers Bob! in shape. It’s been a killing two weeks since we went online! Bare with us, okay?! 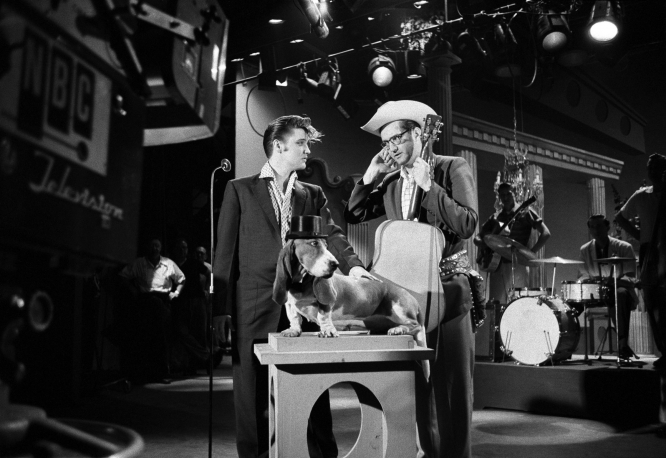 Well Bob and Ger keep up the good work … the Elvis world is glad to enjoy both of your knowledge … I’m keeping my eyes on you two!